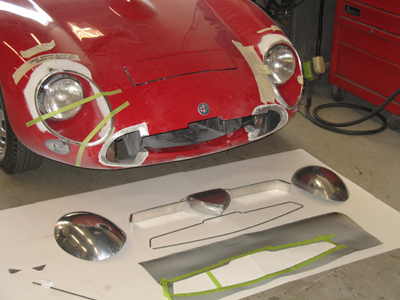 Alfa Romeo - The Panel Shop Inc. 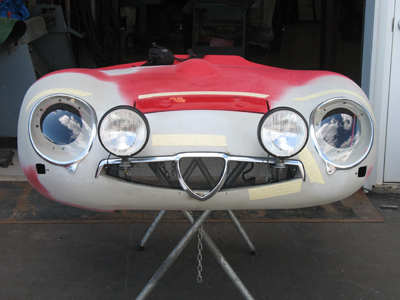 Some front nose parts were made for an Alfa Romeo including the front grille parts and headlight pieces. 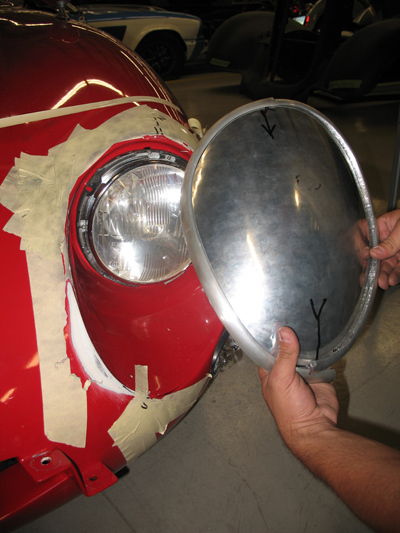 In order to make new plexi-glass headlight covers, molds need to be made from aluminum. New frames were made as well to secure the lenses. 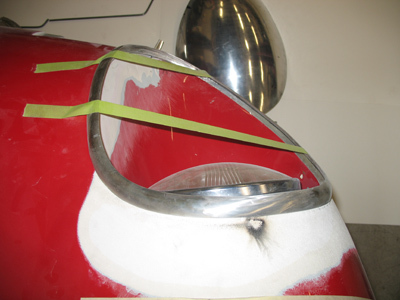 Here are the plexi headlight covers made from our aluminum blanks. 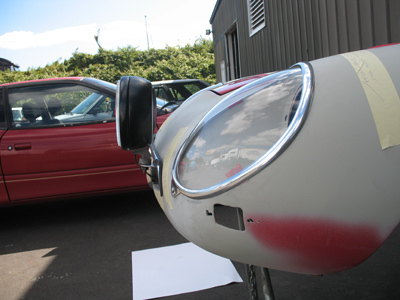 With everything mounted and test fitted, it’s time for paint and finishing.